Do you ever wonder what it’s like for our plants to survive in our crazy weather? Sometimes we get cold winters with stretches of days below -40C°, or winters like this year, with warm beautiful days. Lets talk about zones. Specifically growing zones. Hardiness zones are often listed on plant tags and knowing what plant hardiness zone you live in will help you figure out if your plant will survive the winter (and this is crucial information if you live in Northern Alberta). The first thing you have to know is the difference between an annual and a perennial. Here’s my unofficial definition: Annuals will not overwinter. Perennials will overwinter. It’s that easy. Alright, so how do we know what will work? Here in High Prairie we’re a zone 3a. 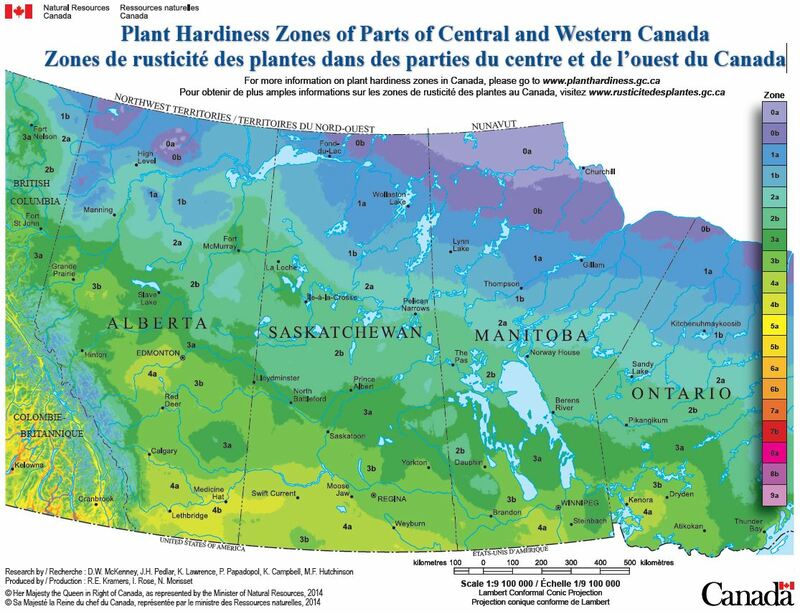 Check out Canada’s Plant Hardiness Zone maps and info here and here. Ok, this part is really important. Anything higher than a zone 3 will not survive the winter here (unless you’re a super duper awesome gardener, or you have a spot where you have a micro-climate). With that being said, many gardeners do have success with plants up to a zone 4 with a little extra protection. Anything zone 3 and lower will survive here. Now that you know your plant hardiness zone, you can easily pick the plants that will work for you! Check out our store for all your plant needs – we add new items weekly.